Location: Husum, WA. 1 Hour East of Portland, OR. 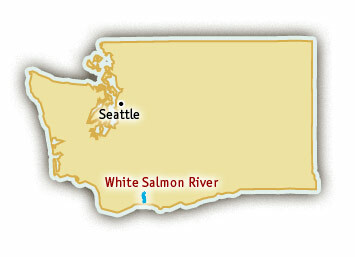 The White Salmon River is fed by the glaciers on Mt. Adams and underground springs. It flows south through the town of Husum, WA, and into the Columbia River Gorge. While driving to put-in on a clear day, incredible views of both Mt. Hood and Mt. Adams can be seen from the highway. The area is famous for its spectacular scenery, abundance of huckleberries, dense forests, and Bigfoot sightings. 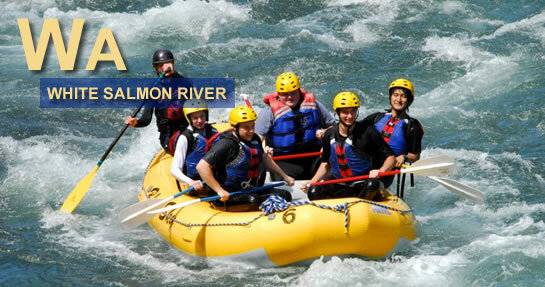 Visit their website for more information about White Salmon River Rafting. 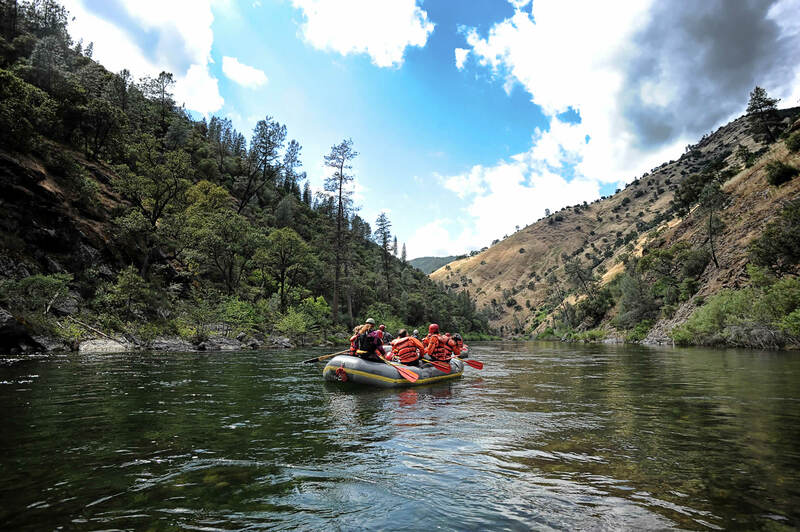 White Salmon River Rafting Trips start out in the middle of one of the most challenging rapid, so your 8-mile adventure will most definitely begin with a blast of adrenaline. Unique, pool and drop rapids await, such as Corkscrew Falls, Waterspout, and Stairstep Falls. The rapids are a nice combination of big splashes and technical maneuvering. When conditions are safe, White Salmon Rafting trips end the excitement with the Class V Husum Falls. Crowds gather on the bridge above to watch brave rafters run the optional 10 foot waterfall. The abundant vegetation in the White Salmon River canyon is colored with every shade of green and seems to come in all shapes and sizes. Beautiful conifers rise up overhead and vines crawl down the bassalt canyon walls. The canyon is narrow, but the cliffs are not too high, so there is still a feeling of openness on this beautiful, intimate river. White Salmon River Rafting is available during the spring and summer.